New Kylie Album: Is the Aussie Pop Star Ditching Disco for Acoustic Guitars? Is Kylie Minogue Ditching Disco in Favor of Acoustic Guitars on Her New Album ‘Golden’? In her new single, Kylie Minogue tells us she “wants to go out dancing,” but it seems she might be referring to a hard wood-floored saloon as opposed to the discotheque. It has us wondering, will the new Kylie album ditch disco altogether? It’s a trend of the last few years that artists who have made their names on the back of throbbing pop beats are turning to more folksy sounds. Lady Gaga had Joanne, which might just be credited with the now-pervasive “pop-to-folk” trend; Miley Cyrus gave up her pot-smoking edge for an altogether tempered album in Younger Now; Kesha returned after years of lawsuit drama with the decidedly more mature Rainbow in August. The Aussie pop star has been teasing the new Kylie album, Golden, since before the new year, and has been working on it since 2017. While in the studio, Minogue considered the album “a great escape” from the fact she’d split from her boyfriend of three years, Joshua Sasse. Only minutes ago, though, Minogue released the first single from Golden, called “Dancing.” While diehard fans are no doubt loving the opportunity to have their diva return to airwaves, others are left scratching their heads — the tune definitely gives off some country music vibes. But what can we expect from the rest of the new Kylie album? Will the entire thing be a country record? Only time will tell. 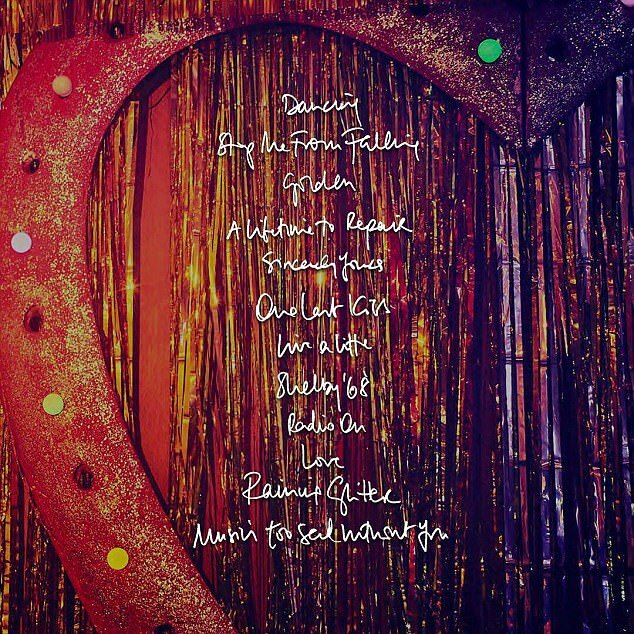 Some song titles from the new Kylie album — like “Raining Glitter” and “Radio On” — sound like they might be good old-fashioned Kylie Minogue pop bangers, while others — like “Shelby ’68” and “Music’s Too Sad Without You” sound like prime opportunities for donning cowboy boots. Minogue has long played with the various genres of pop music, at times producing albums that are more electro-, funk- and disco-based. So we’re giving her the benefit of the doubt with this new Kylie album. Here’s hoping her fans are just as open. What do you hope the new Kylie album sounds like? Sound off in the comments.